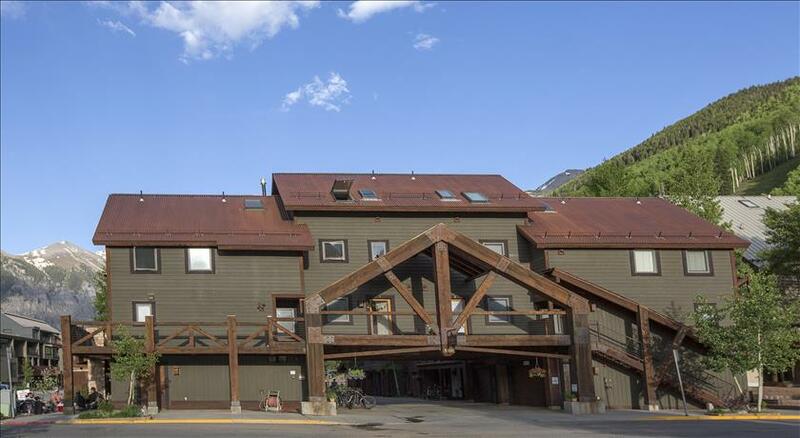 The Double Diamond building boasts tasteful town home stylecondos that are in a prime Ski-in/Ski-out location at the base of the Coonskin Lift, lift #7, on the south side of the San Miguel River. 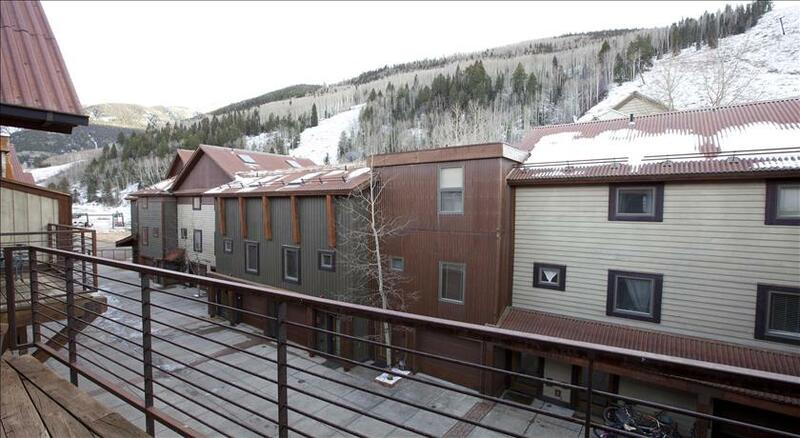 This condo is located a short 75 yards from the base of Lift #7. 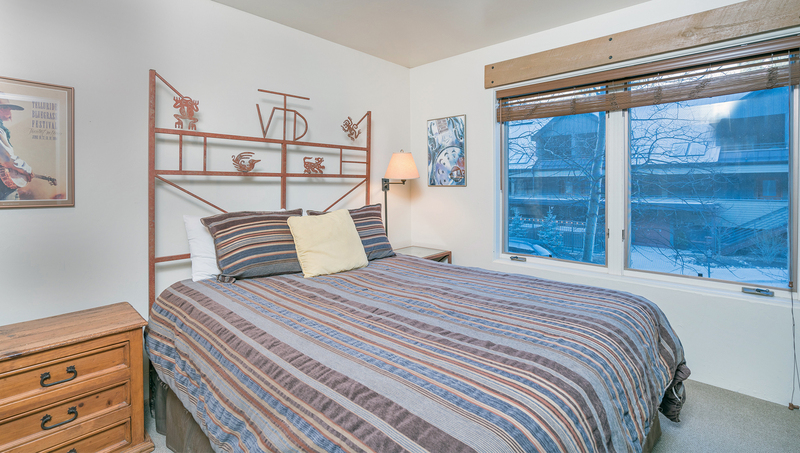 A three level, town-home style unit; the bedding includes one queen bed and two twin beds (can be converted to king). 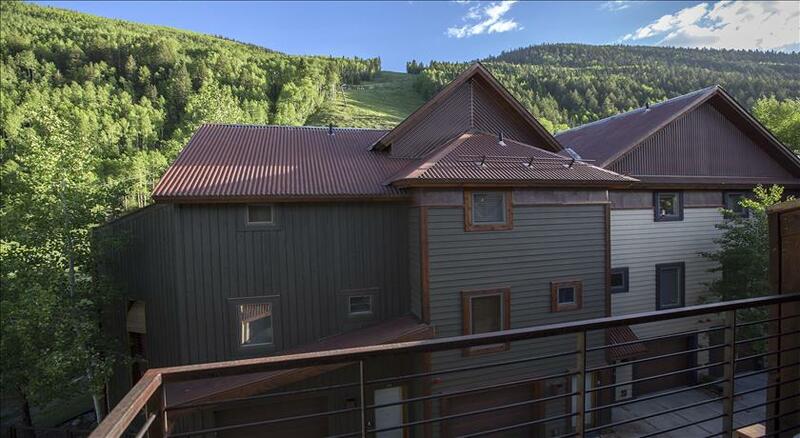 The first level of the condo has a one car garage perfect for a car, ski storage, or mountain bikes. As you enter the condo and go upstairs, the bedrooms are located just off the staircase on the 2nd floor. The first bedroom has a queen bed, flat screen TV and small en-suite bath with shower only. The second bedroom has two twin beds that can be made into a king bed and small en-suite bath with shower/tub combo. The kitchen and living room are on the third (top) floor. 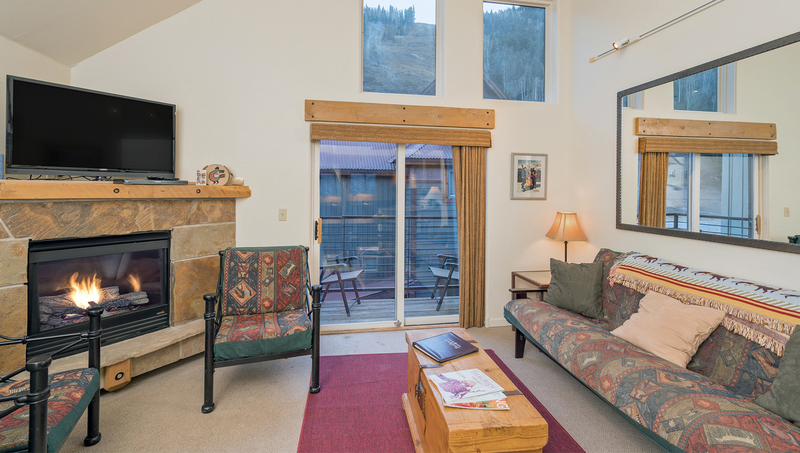 The living room has a large gas fireplace, 47 inch flat screen TV with Blu-Ray smart TV and DVD player, stereo, and balcony with great south facing views of the ski area. 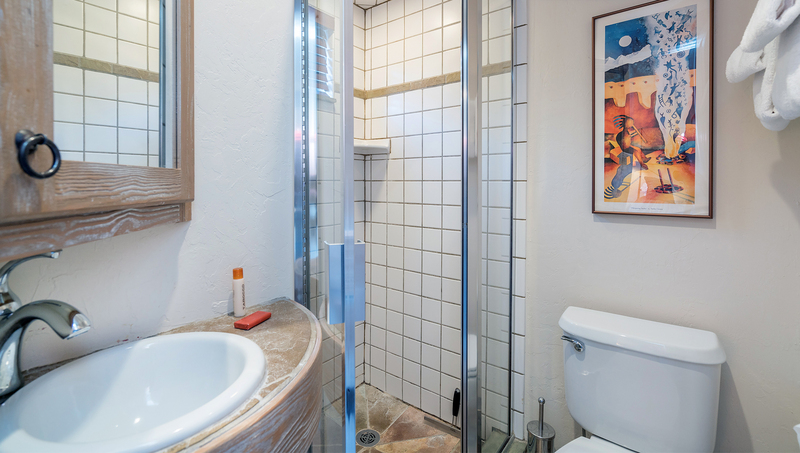 There is a private washer/dryer and a complex hot tub overlooking the ski area. Internet service is wireless or DSL connection. 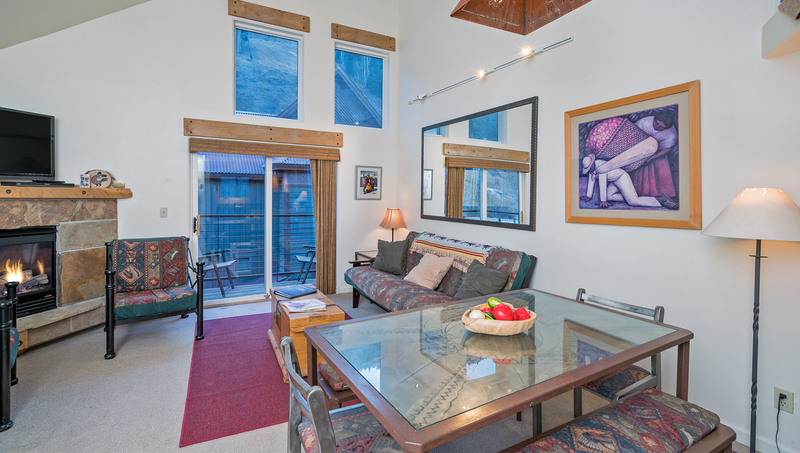 The Double Diamond building boasts tasteful town home style condos that are in a prime ski-in/out location at the base of lift #7 on the south side of the San Miguel River. Bedding: Queen bed, queen bed, double futon (living room) and 2 twin beds (loft). The first floor of the condo has a one vehicle garage. As you go up the stairs, the bedrooms are on either side. The first and second bedrooms each have a queen bed and attached bath. Upstairs in the living room, there is a double futon, gas fireplace, flat screen TV and Blu-Ray player, and small balcony with mountain views. There is also a full kitchen on this level. 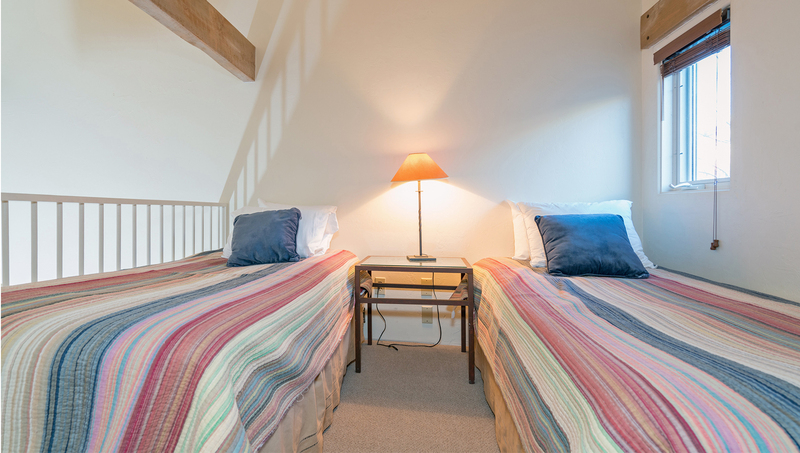 The loft is located above the kitchen; in it are 2 twin beds. The unit also offers a boot dryer and wireless internet. The Double Diamond property has a common outdoor hot tub.